I read your article today, I was THRILLED! I had no idea you liked sewage lift-stations AND fishing! 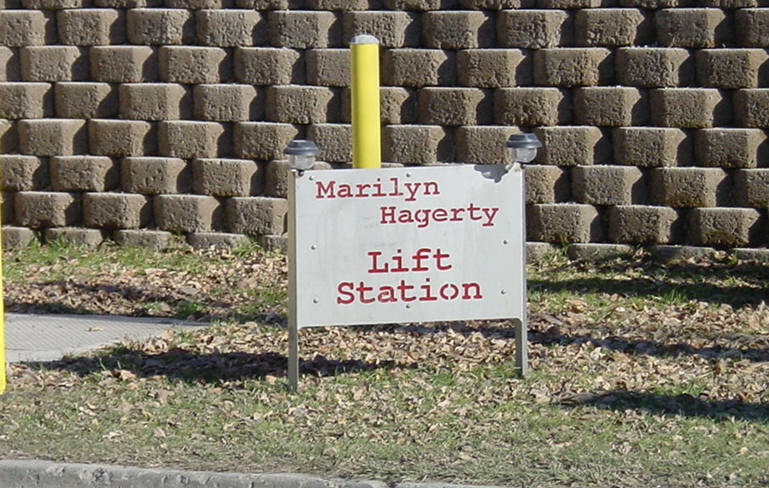 You see, Mr. Barry, I was one of the original sign-makers for the first sewage lift-station that was named and dedicated in Grand Forks. I am going to try my best to get a city landmark named after you. Because sewage-lift stations are at such a premium in the Grand Cities, may I interest you in a BOAT LANDING? Not just ANY boat landing, but a SPECIAL boat landing: THIS particular boat landing in the Grand Cities has a unique relationship with sewage. The sewage here DEFIES the law of GRAVITY! This is not just any boat landing, Mr. Barry. This is a boat landing designed by ENGINEERS! Don't get scared, Mr. Barry, sewage and fishing are linked in the Grand Cities. We train our youngsters early on the virtues of sewage and fishing. And, considering your interest in frogs, you DO realize that the frogs in North Dakota are cannibals, don't you? They are VICIOUS creatures: preying on the weak, at night, when there is no camera around. They are HIRED GUNS to strip you of your bounty! Forget flushing them down the toilet...they climb out and eat the rest of the frogs in your house. Gravity and clock-wise whirlpools mean nothing to these frightful frogs. They are a TERROR here in North Dakota! A concerned Grand Cities citizen/sewage lift-station aficionado/fisherman.